Your Humble garage doors need maintenance in order to keep running, but also quick repairs when they suddenly malfunction. Leave all services to our expert team at Garage Door Repair Humble TX. We help our clients in a timely manner, are equipped to do each service efficiently, have experience in the most advanced operators in Texas, and offer full residential garage door service. Want new opener installation? Need to replace the rollers or fix the track? From emergency sensors repair to broken spring replacement, overhead door installation and cable services, we are the Humble team that can assist you professionally and on time. What’s the nature of your current problem? Did you just discover that your garage doors won’t open? Does your overhead door keep coming back up every time you close it down? Leave all repair services to us. We troubleshoot in timely fashion, inform you of the problem and carry on with the service. Our service vans are always equipped with tools and replacement parts so that each and every job will be done properly the first time. Our garage doors repair service is provided as soon as possible, especially if the security of your residence or your safety is compromised. Count on our quick assistance when the door won’t close, the sensors are broken, the tracks are damaged or the cable is off drum. 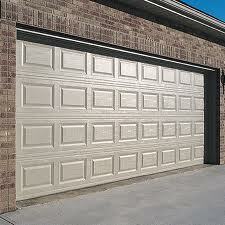 Looking for new garage doors in Humble TX? When you’ll get interested in a new door, schedule garage door replacement with our technicians! We replace and install all types of doors and openers, and definitely their parts, but also help our customers find the perfect products for their garage and within their budget. All services offered by our garage door company are done on time and performed by well-trained and committed technicians.